Toddler sleeveless vest and short pants set, great for summer. Swim hat design is perfect for toddlers and boys to swim. 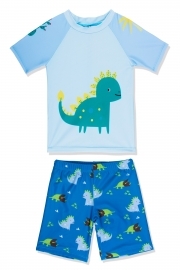 Fish printed pattern and the vibrant colors make your boy more cute and energetic. 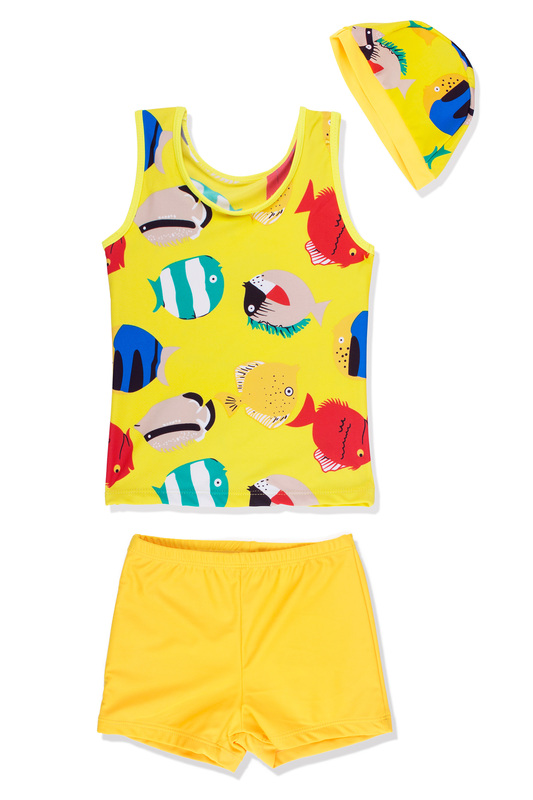 Our 3pcs swimsuit comes with 1pcs fish printing sleeveless vest, 1pcs short pants and 1pc hat. 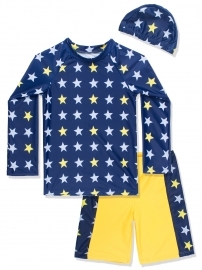 This swimsuit set is available for toddlers from 2 years to boys up to 15 years.